Today Ellen is taking part in the blog tour for The Silent Dead by Graham Smith and I’ll be sharing her review with you all a little further down! I must start this review with a little bit of author awe and praise – Graham Smith has created three fantastic protagonists over three separate series of books and I have come to the conclusion that he is either a true genius or a little bit mad! To be able to “listen” to these characters then tell their stories and do every single one of them justice must take some doing. Graham often says that he is nothing more than a stenographer for the voices in his head and I have the upmost respect for his ability to translate all this into some outstanding stories and the talent to draw his readers into every new novel. In The Silent Dead we are introduced to his latest creation, DC Beth Young, a new recruit to the Cumbrian Major Investigation Team. Beth is the youngest (a fact she is not allowed to forget)and she is torn between proving she is good enough to be there and not stepping on the toes of the already established team. As this is the first in the series we are given some background information of them all and gain an understanding into how they all react to Beth initially. I love how Beth often just blurts out her theories in one word Staccato answers; her initial thoughts are shot out and then she fleshes them out for those around her. I can imagine this would be quite disconcerting until you got to know her! The murders in The Silent Dead are some of the most gruesome I have ever read and I loved this (don’t judge me). Bodies are being found in abandoned stately homes and not just rolled into a ditch or hidden away…these bodies are displayed and wings have been attached to their back. The wings aren’t the extent of the horrors that these poor victims have endured but I’ll leave those juicy details for you to find out for yourselves! The Silent Dead is a fantastic start to a new series and I look forward to reading many more. Twenty-seven-year-old Detective Reiko Himekawa has an impressive ability to solve crimes. When a gruesomely slaughtered body wrapped in plastic is discovered, Reiko soon uncovers eleven other murders with a similar signature and a reference to something called strawberry night, a group that recruits victims and murderers on the internet. To solve the case, Reiko is forced to reach back into her own troubled past. 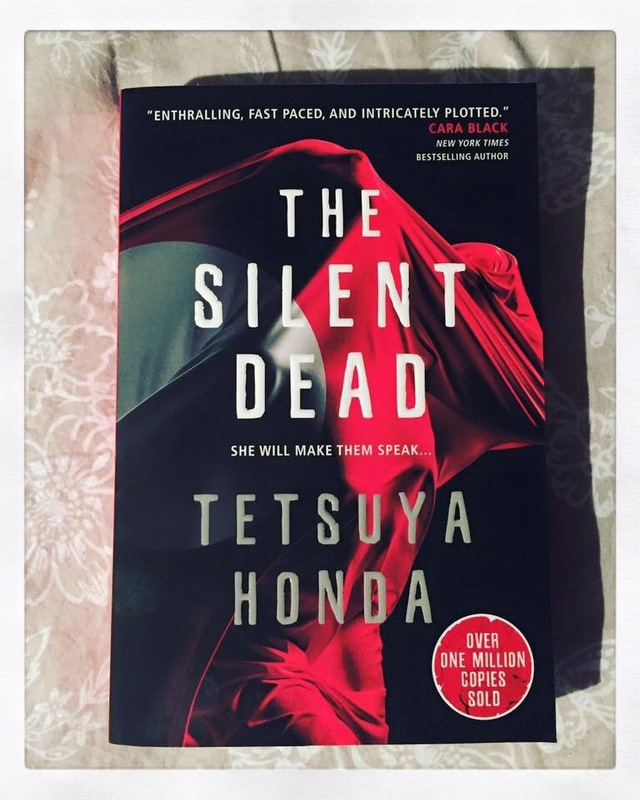 The Silent Dead is my first foray into crime thrillers based in Japan. I’ve read lots of crime books, but this is my first based in Asia and it was a promising introduction. Not least because there are more books in the series which I would definitely be interested in reading if and when they are translated. The intro to The Silent Dead is quite gruesome, and sets the scene for further on in the book. Detective Reiko Himekawa is tasked with the investigations and as the body count rises, the evidence mounts against so many people that it’s almost hard to keep track of the who and the why! The Silent Dead took me a while to get into, as I found it lacked pace in the middle of the novel. It opened with a bang, and then seemed to taper off for a while until the last third of the book. I did enjoy it, but it left me wanting something more. I don’t know, it’s hard to verbalise, it just left me feeling a little flat after it all. That’s not to say it’s not well written, or well translated for that matter. It is both of these things, it just didn’t work for me! I gave The Silent Dead 3⭐️ on Goodreads, it’s out now and you can pick up a copy by clicking HERE.